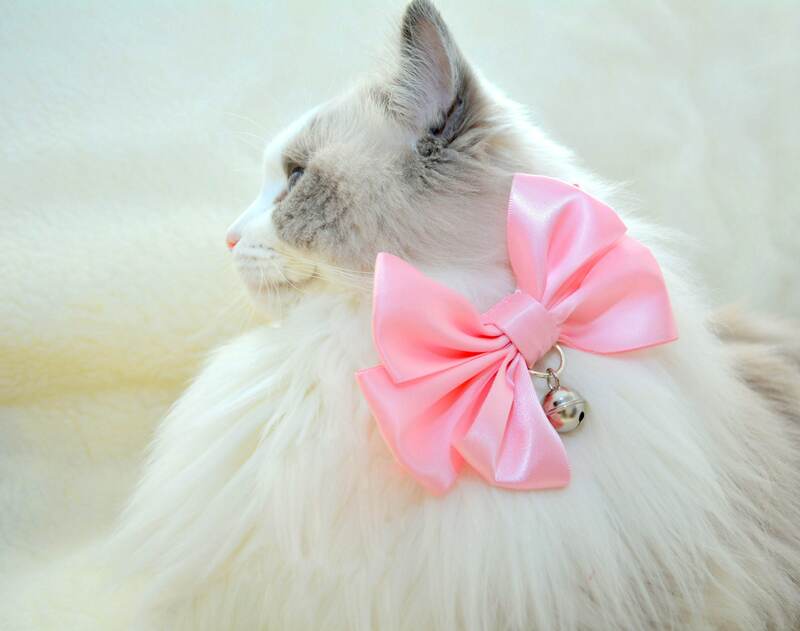 If you have a fluffy cat you need a big bow tie like this one, available in many colours: pink, baby blue, ivory, red, green, purple and more. 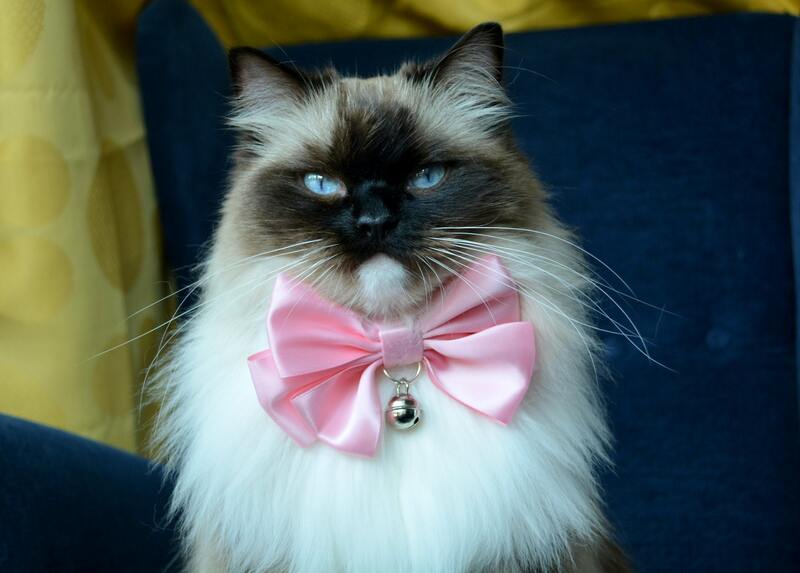 The bow tie is made from double sided stiffened satin ribbon. Size c. 5 inches wide (please allow small size adjustment as this is a handmade item). 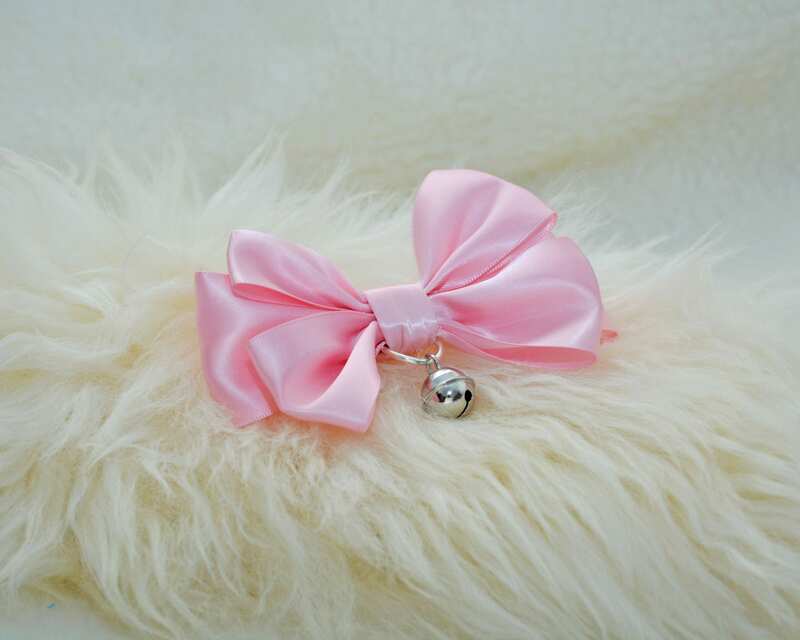 Collar is optional: satin matching or silver/gold elastic. If you would like a bow tie in a specific colour, say to match cat eyes, please contact me and I will see what can be done. Satin bow tie is hand washable and can be ironed with great care.